I’ve always enjoyed having an early season tournament to get my teams three or four games over the course of a weekend. This allows us to work on things from one game to the next and see a marked improvement in a short period of time. During a regular league schedule you have to wait a week to come back and see if the corrections you’ve made help the team play more effectively. The teams all played well. There are obviously a lot of things for us to work on but all in all it was a good start. This last couple of weeks has been great because the Olympics provide a great opportunity to see athletes perform on the highest level of their sport. I’ll watch the final of just about any sport because you can see how athletes and coaches react to the pressure. Some cope well and rise to the occasion while other struggle and crumble under the pressure. Either way it’s a great learning opportunity. The soccer events have been frustrating. Having the men’s team go out in qualifying has made it tough to watch the men’s side. There have been some good games but the standard is obviously just not as high as the recent World Cup. On the women’s side I was really looking forward to watching the US try to win the Olympic Gold Medal after winning the last World Cup. No country has been able to do that. Unfortunately, Sweden has ruined the competition in my opinion. Their brand of Anti-Soccer creates nothing and relies on mistakes by the other team. I understand that this style of play is a reality in the modern game and that the most important thing to these teams is winning but my fear is that these tactics will trickle down to affect younger teams. Let’s hope that it doesn’t. Now that the high school season is beginning around the country I thought it would be the perfect time to talk with a coach that has been coaching at this level for many years. Terry Michler, Head Coach of CBC High School in St. Louis. Terry played in the North American Soccer League for the Kansas City Spurs who won the league title in 1969. In his 45 years as the coach of Christian Brothers College High School in St. Louis, he has coached more than 1,200 game and won more than 900 of them. His teams have won 27 District Championships, 17 Final Four appearances, 13 State Final appearances and 7 State Championships. 283 of his players have gone on to play college soccer and 33 have played at the professional level. 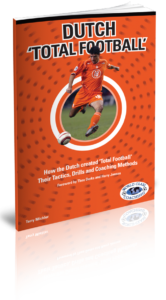 Terry has written or contributed to four books, ‘Coaching Soccer Champions’ where he shares the drill, exercises and small-sided games that he uses with his teams. 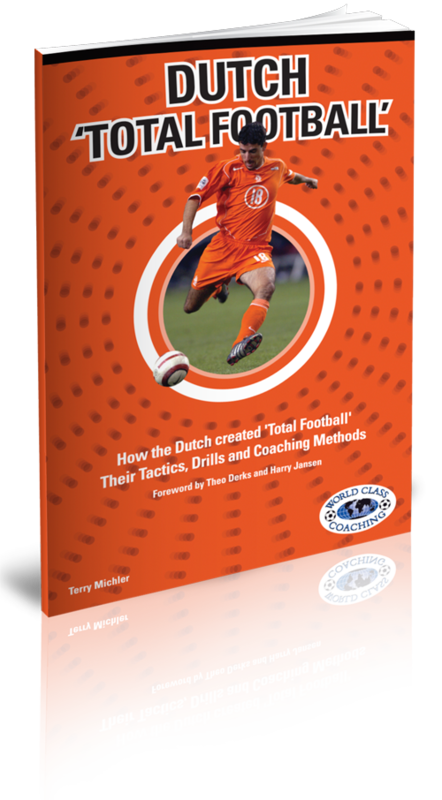 ‘Dutch Total Football’, a very detailed look at what the Dutch do and how they do it. ‘Full Season Training Program – CBC High School’ which detail a complete season of Terry’s training schedule for his high school team. 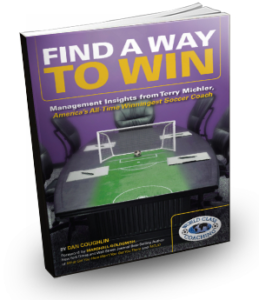 And ‘Find a Way to Win’ a book that looks at how you can take Terry’s team building concepts and apply them to business and life. Terry and I discuss, tryouts, relationships with club coaches, the challenges of balancing a busy game and training schedule, developing a team culture and much more. Check out the Show Notes below for a complete transcript of our discussion. One of the most challenging aspects of coaching at any level is taking the players that you’ll assembled on the roster and put them together in a lineup on the field. Balancing player’s abilities and taking into account their desired positions makes it difficult to make them all happy and make the team successful. Next week I’ll talk about the process of developing a lineup that takes all of this into account.